Gather your friends and party where you’ve never partied before—on stage in ZACH’s magnificent Topfer Theatre! 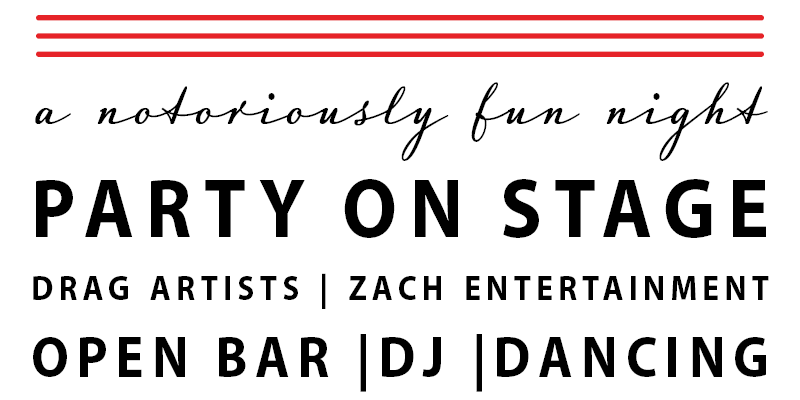 Enjoy the best of Austin nightlife including a notoriously fun dance party, themed photo booth, signature ZACH entertainers and drag artists, and an open bar all night long. Tickets $100 – Bring four of your friends and get your ticket FREE with our five-ticket package! Ticket proceeds benefit ZACH Theatre’s artistic and education programs.